Now's your chance to learn Korean on your own time. Duolingo is Android’s leading language-learning app, with more than 100 million downloads to date, and it has gradually expanded over time to include more and more lessons. The latest? Korean, which just started rolling out yesterday following ample user demand. 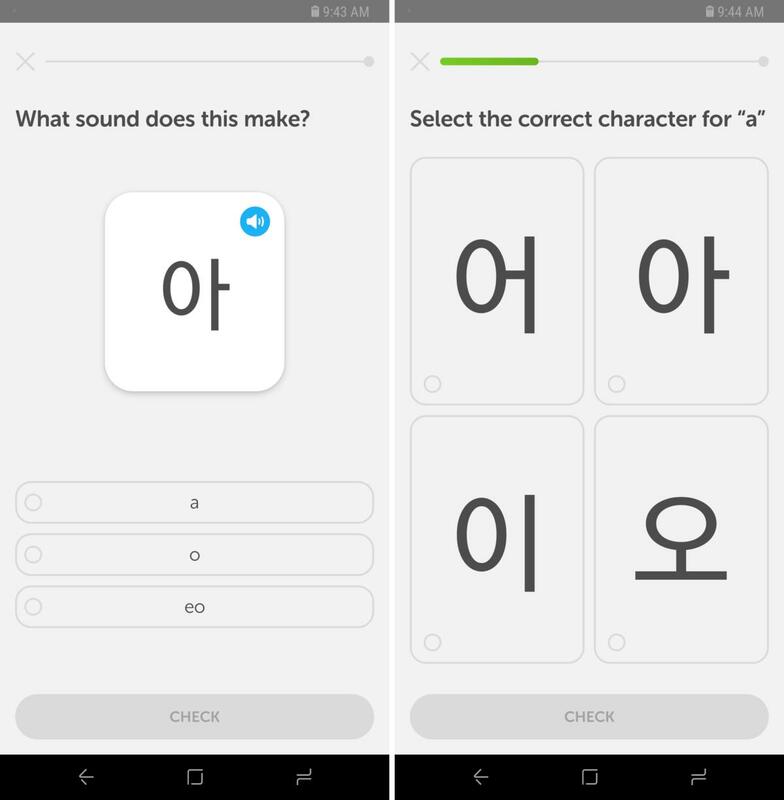 According to the company, more than 200,000 users put themselves on a waiting list for Korean language courses, and now they’ll be able to dig into the lessons on Android and other platforms. It’s all part of a recent initiative to encompass more Asian languages: Japanese arrived in June and has been one of Duolingo’s most popular languages since, and a Mandarin Chinese course is also promised by year’s end. As ever, the ad-supported app is free to use, although there are also paid subscriptions available without ads. Atom Visualizer offers a small taste of what ARCore can do. Mobile augmented reality is hardly a new concept, but with Google’s ARCore for Android and Apple’s ARKit for iOS devices both picking up steam, we’re about to see a burst of really cool and potentially really helpful apps. And now you can try out ARCore today if you have one of a handful of specific phones, thanks to the release of Atom Visualizer. 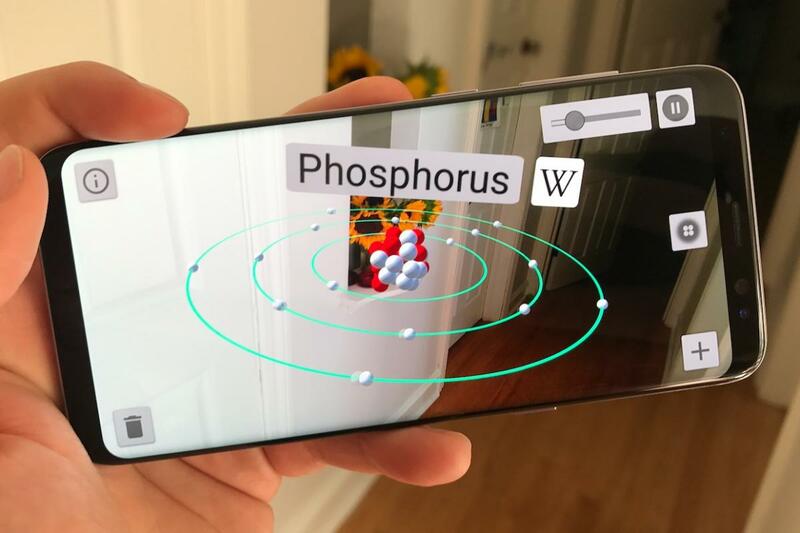 Pegged as the Play Store’s first ARCore app, it lets you drop 3D atomic models into the world around you and explore them as you please. You can look at them from varying angles, as well as place multiple models around you and see how they compare in composition. You will need to sideload Google’s ARCore Preview framework, though, from either APK Mirror or Google Developers (via Android Police), plus you must have a Pixel, Pixel XL, or Samsung Galaxy S8 handset to use it. But if you’ve got the phone for it, then Atom Visualizer is a cool look at what’s on the horizon for Android AR. 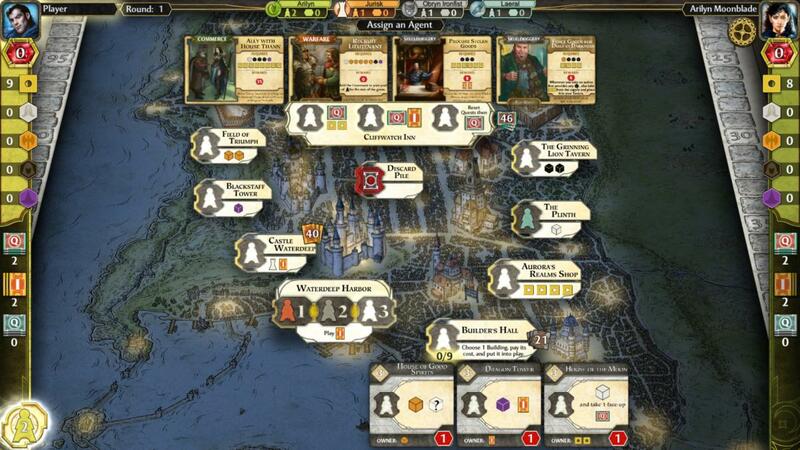 It's pretty crowded on a phone screen, but the authentic Waterdeep experience is there. Well, this took a while! Four years after debuting on iOS to rave reviews, Dungeons & Dragons: Lords of Waterdeep ($10)—based on the popular tabletop game of the same name—is finally available on Android. And if you love the original version or just count yourself as a fan of the legendary Forgotten Realms setting, then now you can play it online, wherever you are. Lords of Waterdeep is a game about influence, as you take control of one of the five masked rulers in the titular city. As a lord, you’ll attempt to spread your influence across the city by sending out adventurers to complete quests, purchasing buildings, and either working with or against the other lords as you see fit. It’s playable by up to five people either locally or online, or you can fill the board with AI foes if you’re hard up for competition. Zombies and Mountain Dew: perfect fit? Looking for another augmented reality diversion to fiddle around with this weekend? 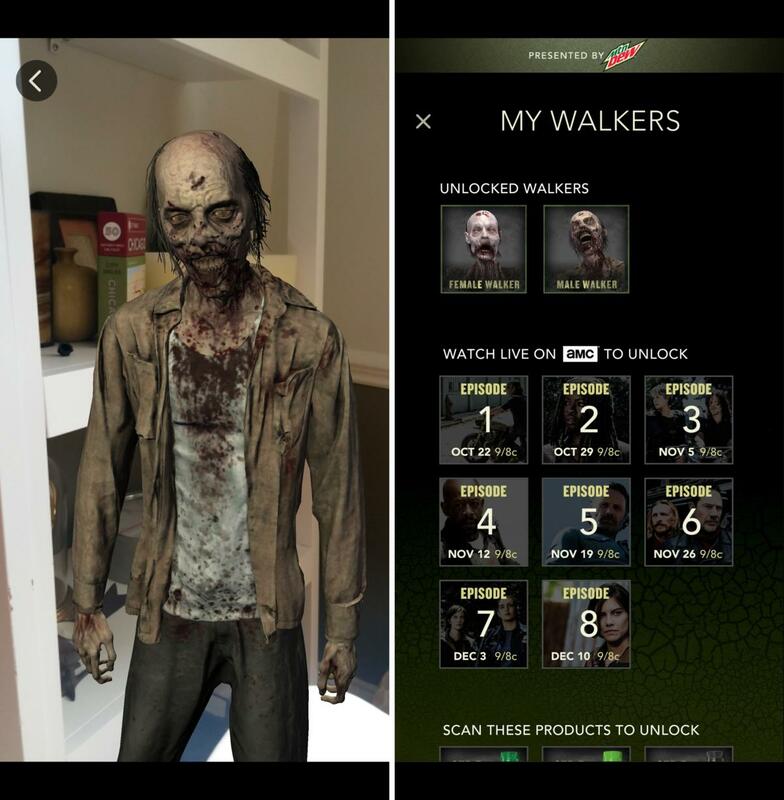 Check out the new Walking Dead Encounter app, which is offered up free by TV network AMC and… Mountain Dew, of all companies. Essentially, it lets you drop virtual zombies into the world around you, and have them scare and surprise you as you look around your space with your phone camera. Right out of the gate, you’ll just have two zombie types to use, but you can unlock more by scanning certain packages of Mountain Dew, and more will arrive once The Walking Dead TV show starts airing new episodes in late October. There’s not much to the app, but if you love the show, then it might be a fun party trick to show pals—especially as Halloween nears. Some of Daniel Tiger's top stories come together in this reading app. If your kids consider Daniel Tiger a close friend and know each and every one of the show's ultra-catchy songs, then you'll want to pop this app on your phone or tablet ASAP. Daniel Tiger’s Storybooks ($3) is a compilation of five different picture books inspired by episodes of the popular PBS Kids cartoon series, albeit with some digital upgrades. Each book can be spoken aloud by Daniel himself in English or Spanish, or you can turn the narration off and read it yourself—plus each scene has interactive elements with familiar songs looped into each story. You’ll also find an easy-to-play game at the end of each story, and more stories are promised in the future. For three bucks, this could be a handy way to entertain and educate kids whenever you need to fill a spare moment.